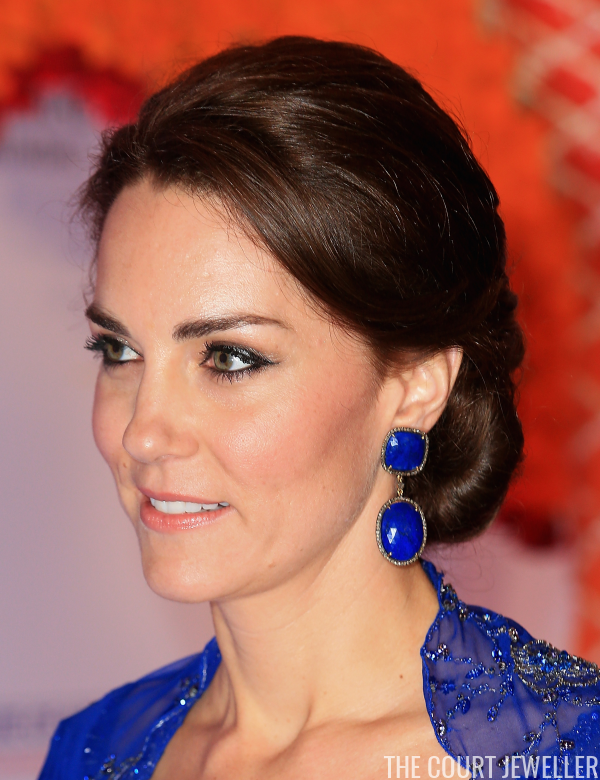 Although many of the Duchess of Cambridge's earrings are small and delicate, she does have some major statement earrings in her collection. Today's pair, her lapis and diamond earrings from Amrapali, are some of the most colorful and interesting of her larger jewels. 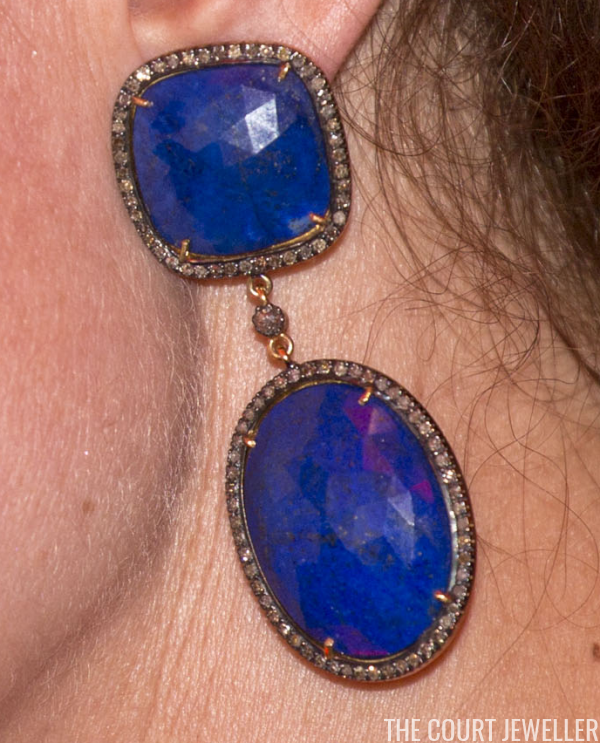 The earrings feature two faceted lapis stones ringed with diamonds. The stud features a square lapis, from which is suspended a small round diamond and then an oval-shaped lapis. 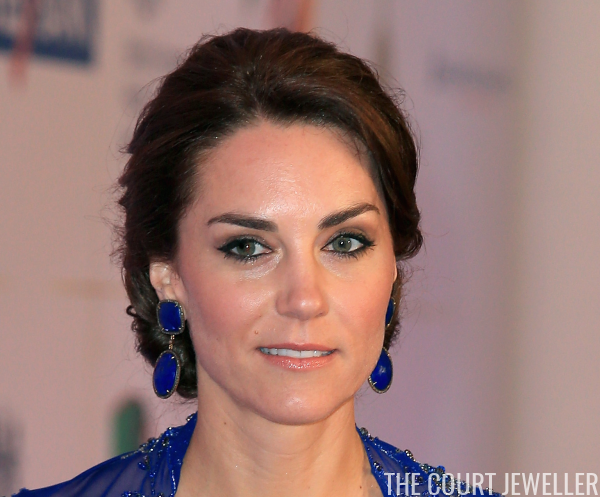 The earrings were made by Amrapali especially for Kate. Similar pairs from their line retail for around $3000. 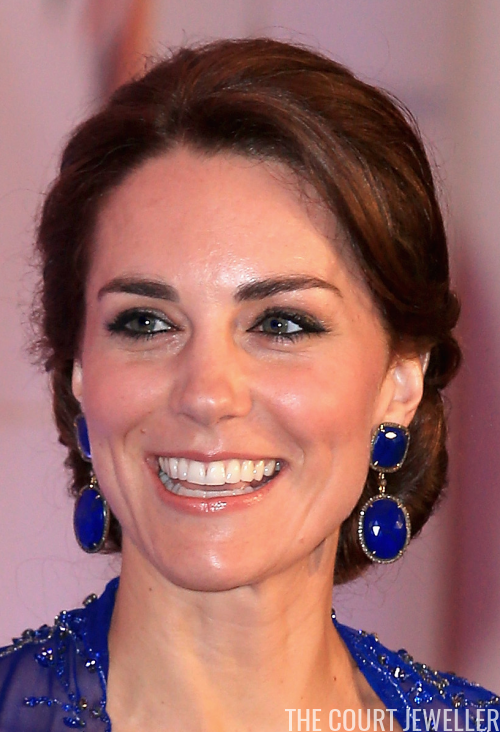 Kate wore the earrings for the first time at a charity gala in Mumbai during the Cambridges' 2016 tour of India and Bhutan. The earrings were a nod to her Indian hosts; the brand, which was founded by Rajiv Arora and Rajesh Ajmera, is named for a beautiful ancient Indian muse. The jewelry line builds on the jewelry aesthetics and traditions of India. Although the company is headquartered in Jaipur, the brand also has a shop in Knightsbridge and is stocked at Harrods and Selfridges in London.